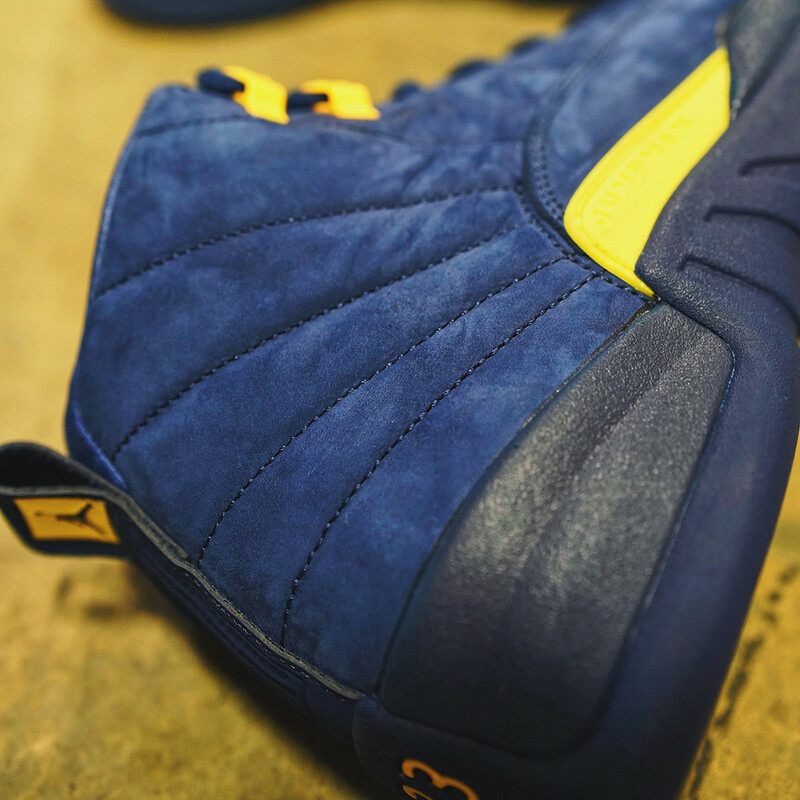 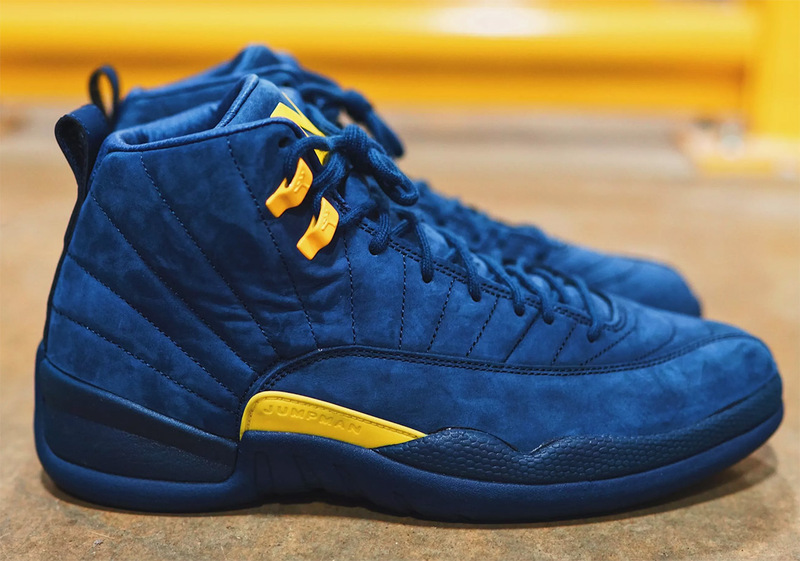 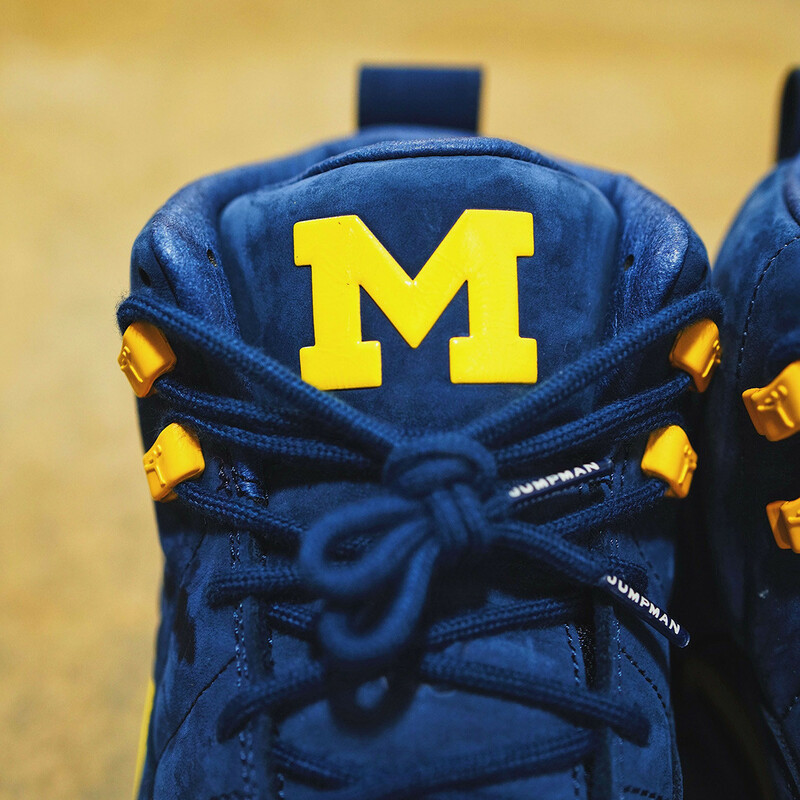 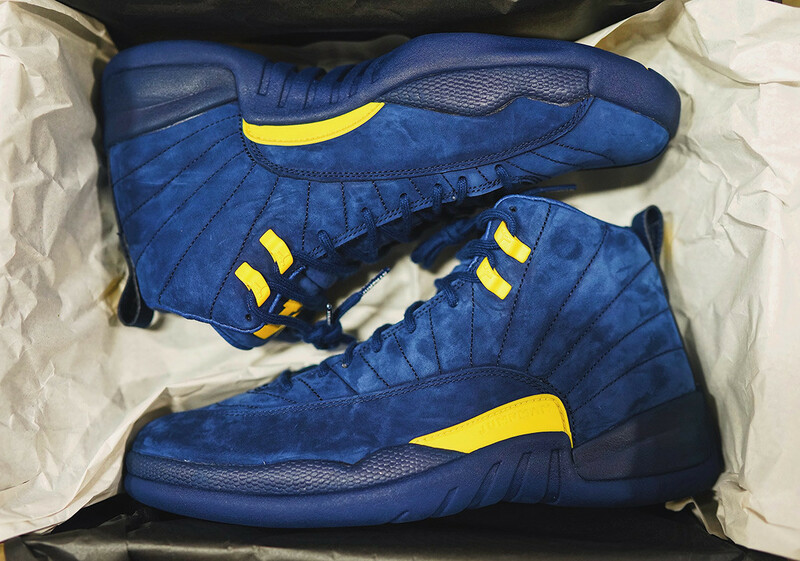 This Michigan PE of the Air Jordan 12 features a premium-looking suede upper in blue with a striking yellow accent on the top eyelet, mudguard, Jumpman brandings and M logo on the tongue. 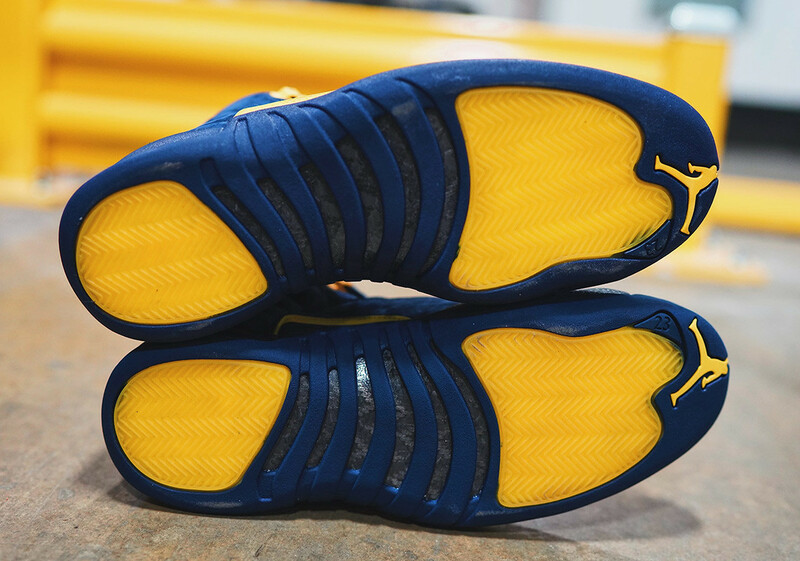 The yellow outsole completes the look which shows exclusivity. 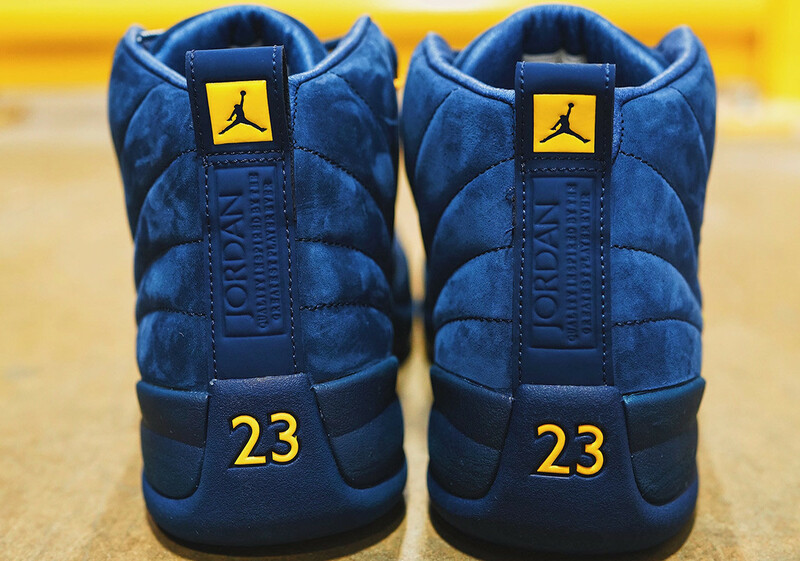 The shoe drops on June 23, 2018 for $225.